When is Forever Mine (Tormentor Mine: Book 4) coming out? 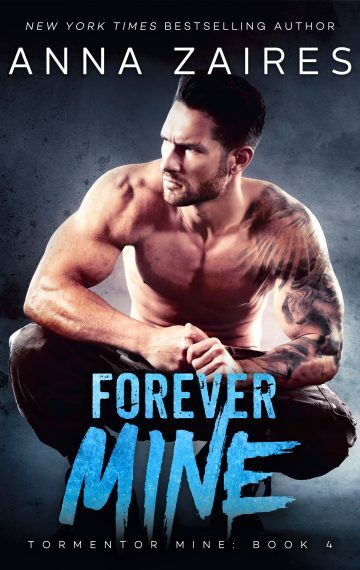 Forever Mine comes out April 16, 2019! You can pre-order the book here. When is the paperback version of Forever Mine coming out? Can I pre-order it? The paperback version will become available on April 16, 2019, the same day as the ebook! Due to some changes with Amazon, we were unable to set up a paperback pre-order this time around, but be sure to order your copy on release day! In what order should I read the Krinar books or the Twist Me trilogy and its spin-offs? Find out the suggested reading order for my Krinar books and my Dark Contemporaries here! Will there be more Krinar books after The Krinar Captive? Will any of them feature Mia & Korum? Maybe :). Dima and I have many ideas for stories set in that universe, including one that will feature Mia and Korum as important secondary characters. Is Hold Me the last book for Nora & Julian? Yes. You may see them again as secondary characters in other books, but their own story is complete. Is Claim Me the last book for Lucas & Yulia? Yes. You may encounter Lucas & Yulia again in other books, but their own story is complete. Will you write Rosa’s story some day? Maybe :). I don’t want to make any promises right now, but please stay tuned. I read a sample of White Nights in the back of one of your books, but I can’t find it anywhere. When is it getting released? White Nights is one of my works in progress, but it’s currently on pause. I may or may not resume it. Please sign up for my newsletter (above) to be notified if/when the pre-order links become available. You can come meet me at a book signing or join my Readers Hangout Group on Facebook. I list signed copies for sale there a couple of times a year. I’m a new/aspiring author. Can you please tell me how to go about getting published and/or marketing my books? For those who want to improve in the craft of writing, I also suggest: Stein On Writing: A Master Editor of Some of the Most Successful Writers of Our Century Shares His Craft Techniques and Strategies.